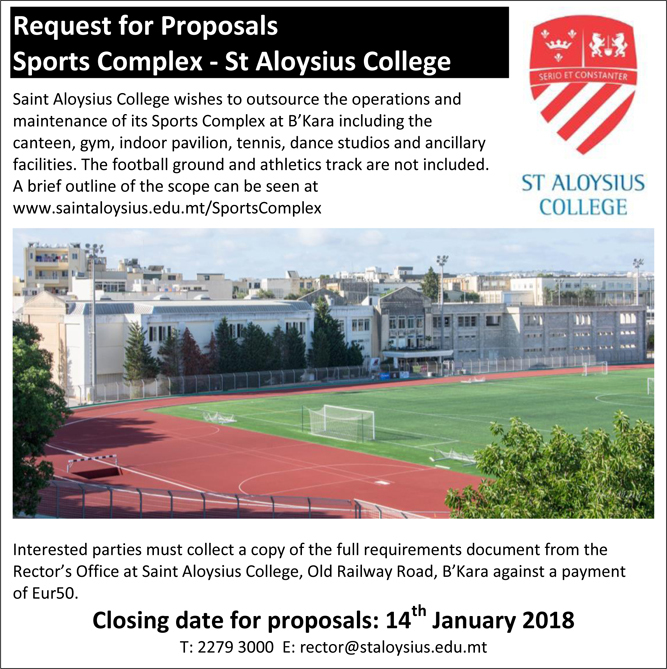 St Aloysius’ College wishes to outsource the operations and maintenance of its Sports Complex at Birkirkara including the canteen, gym, indoor pavilion, tennis courts, dance studios and ancillary facilities. The football ground and athletics track are not included. Interested parties must collect a copy of the full requirements document from the Rector’s Office at St Aloysius’ College, Old Railway Road, Birkirkara against a payment of €50.